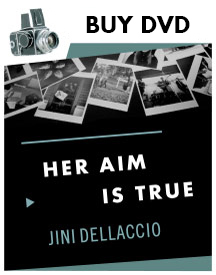 HER AIM IS TRUE, a documentary film by Karen Whitehead, tells the story of legendary rock and roll photographer, Jini Dellaccio, a woman, whose willingness to capture unconventional images captivated generations of musicians, who like Dellaccio, refused to conform to the rules of their craft. Dellaccio, considered an innovator of her time, was a trailblazer for being both female in a male dominated industry, and for composing photographs that carried a unique air of refined beauty combined with a raw eclectic edge. 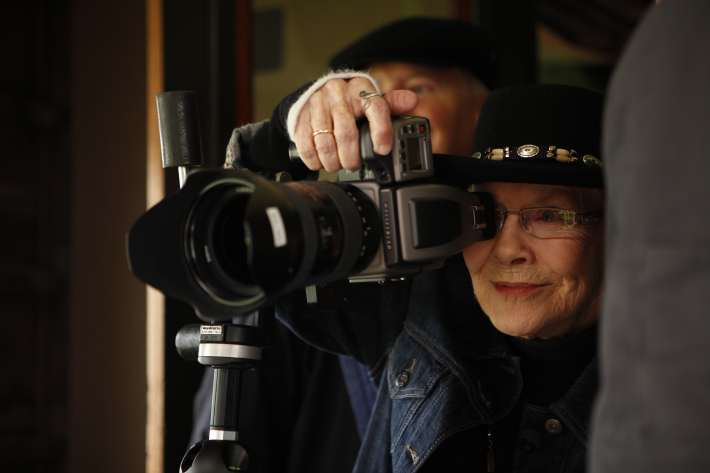 Dellacio’s love for music inspired photographic works of art that spanned more than five decades, celebrating the musical journeys of world-class artists including The Rolling Stones, The Sonics, The Who, Neil Young, and Mamas and Papas.